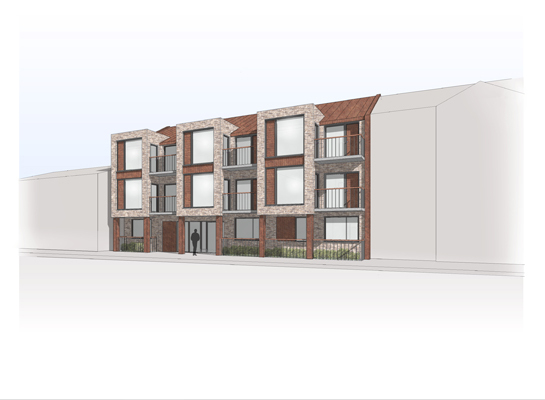 Planning Permission has been secured for a new mixed use development in South Benfleet. The site is currently occupied by a disused supermarket which is bulky and incongruous in the streetscape. Our scheme aims to create a higher but more contextual building form with new flats above commercial space. The flats will be in two distinct blocks separated by a courtyard to allow light and circulation.